The long wait for Sherlock series four finally ended with the action-packed premiere of “The Six Thatchers.” As promised by Steven Moffat and Mark Gatiss, the plot took a dark turn—and did so quickly! It looks like we’re in for a bumpy ride—so let’s dissect “The Six Thatchers” 10 Biggest Moments. 10. Mycroft doctors the footage of Magnussen’s murder. To get Sherlock off the hook, Mycroft has the surveillance video modified so that Sherlock doesn’t shoot Magnussen—instead he is killed by a sniper. 9. Introducing Rosamund Mary Watson! We meet the newest Watson, baby Rosie, named for her ill-fated mum. 8. A Sherrinford shout-out. We hear Mycroft saying “I need to speak to Sherrinford, please. Yes, I’ll wait.” How long are we going to have to wait to see the third Holmes brother? Who will play him? Rumors abound—is it Tom Hiddleston? Steven Moffat? 7. AGRA-vation. We finally discover the meaning of the AGRA acronym. We were led to believe the damning USB drive was labeled with Mary’s initials, but it was actually her first initial, “R” for Rosamund, and those of her three partners in crime. 6. The ghosts of Mary’s past. Mary/Rosamund’s past as an assassin for hire comes back to haunt her in the form of former colleague Ajay. Mary’s accused of betraying her team during a risky mission, resulting in the deaths of AGRA’s other “A” and “G.” Ajay wants revenge. 5. Norbury. Who is Vivian Norbury? Does she work for Moriarty, for Culverton Smith, or did she simply get bored and decided to become a murderous traitor? 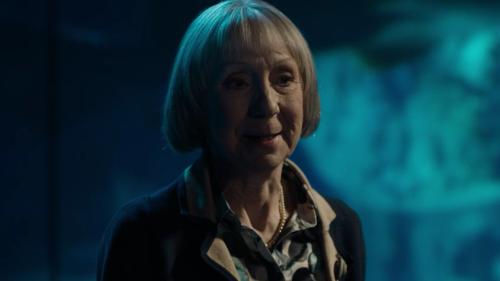 Sherlock asks Mrs. Hudson to simply utter “Norbury” to bring him back to earth if he ever gets too full of himself–just a matter of time. 4. “Go to Hell” This beyond-the-grave message from Mary seems to curse Sherlock for her death. But is it actually a coded message to help Sherlock “Save John Watson”? 3. Sherlock breaks His Last Vow. Sherlock breaks his promise to keep the Watsons safe, in spectacular fashion. 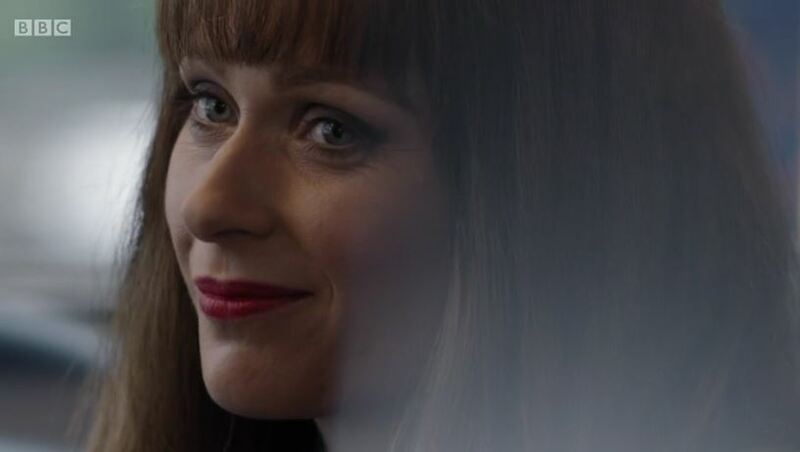 As Vivian Norbury aims at Sherlock and pulls the trigger, Mary jumps in front of the bullet in a neatly-plotted payback for shooting him in series three. 2. Betrayal bombshell. John the devoted husband strikes up a flirtation with a mysterious redhead. Is she in “league” with one of our villains, using John’s well-documented weakness for the ladies to get to Sherlock? 1. Mary dies. Conan Doyle fans knew this was inevitable. 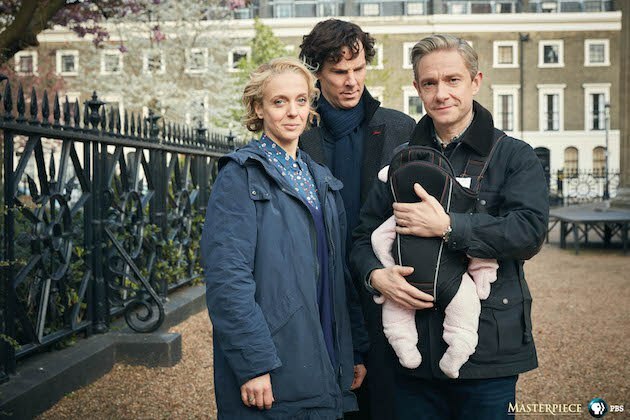 Still, the tragic death of new mum Mary was a devastating blow to fans who enjoyed the chemistry between Mary, John and Sherlock. We won’t forget John’s painful wails of grief anytime soon. So there you have it, our 10 Biggest Moments from “The Six Thatchers.” Tell us your favourite moments in the comments!